Elite Foot and Ankle of Grove City is a comprehensive podiatric practice. We have extensive experience with athletic injuries and rehabilitation and we are dedicated to the specialized treatment of foot and ankle conditions for adults and children. Dr. Trevor A. Davy was born and raised in Columbus, Ohio. He graduated from Thomas Worthington High School and then attended Xavier University in Cincinnati, Ohio. At Xavier, Dr. Davy continued his athletic career playing for a Division I soccer team. After receiving his Bachelors of Science degree, he attended the Ohio College of Podiatric Medicine where he received his doctorate. During medical school, he served as President of the American Podiatric Medicine Student Association. Dr. Davy then returned to Columbus to continue his training at Grant Medical Center, a premier residency program for podiatric surgical training. While in residency he was chosen by his peers to serve as chief resident. Currently, he is the chairperson of the Department for Podiatric Medicine and Surgery at Grant Medical Center. He is also both board-certified and a fellow of the American College of Foot and Ankle Surgeons. Dr. Davy is a member of the Ohio Podiatry Institute. Dr. Davy resides in Delaware, Ohio with his wife and two daughters. He enjoys an active lifestyle. He spends his free time hiking, fishing, snowboarding, and exercising his dogs. He is also an avid sports fan. Originally from Cleveland, Ohio, Dr. Jacqueline Donovan completed her undergraduate education at John Carroll University in University Heights, Ohio. She then earned her Doctorate from the Ohio College of Podiatric Medicine. Dr. Donovan then completed a three year residency at Grant Medical Center in Columbus, Ohio. 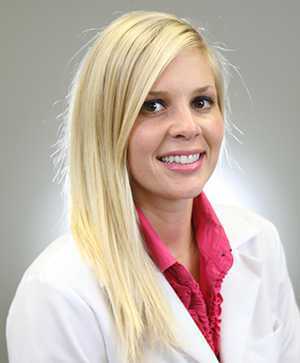 Following her residency, she completed a fellowship at Grant Medical Center in Foot and Ankle Orthopedic Trauma with the Orthopedic Trauma and Reconstructive Surgeons. Dr. Donovan is currently a member of the American Podiatric Medical Association, the Ohio Podiatric Medical Association and the American College of Foot and Ankle Surgeons. I cannot praise Dr. Davy enough! A few years ago I was referred to Dr. Davy by several different people-all of who spoke very highly of Dr. Davy. From my first office appointment I could tell the compliments were well deserved. Not only did Dr. Davy take the time to do a thorough examination, he listened to my concerns and explained my options. Ultimately, I had surgery on my aching toes and Dr. Davy worked miracles. I was able to bounce back to my normal active lifestyle pain free! Unfortunately, my story doesn’t stop there. While training for a marathon, I fell running in a race causing an injury to my ankle. Dr. Davy was the first person I called and his office made time for me the next day. He evaluated my ankle, took x-rays and an MRI. Dr. Davy not only utilized his medical training but he listened and understood my goals and desire to remain active. I eventually had another surgery under Dr. Davy’s skilled hands. He walked me through every step, showed a compassionate bedside manner and kept my family informed. Though it was a long process, I was able to get back out there and accomplish my goals! Dr. Davy is an outstanding doctor. He is very knowledgeable utilizing the latest technologies and he truly cares about his patients. He takes the time to listen and get to the root of the problem. He is honest and direct while showing concern for his patients. I have referred many friends and family and trust Dr. Davy implicitly. It is a great feeling to know I have a doctor on my side who I can count on in the future! I feel so blessed to have been referred to Dr. Davy for my foot problems. He is a gifted surgeon and Grove City, Ohio is honored to have him in practice. He takes the time to answer all questions, explain the issues concerning your feet, as well as explain exactly what he will do in surgery to correct the problems. Lets you know what to expect in recovery and healing time involved to reach complete healing. He doesn’t ever make you feel uneasy. I trust him completely. As for Keri and Megan. Megan greets you with a smile and makes your office visit pleasant. Keri is simply the best in her care for you, getting scheduling for surgery up through the care of surgery site, casting, and all care post op. Such a sunny personality which puts you at ease. I highly recommend Dr. Davy at Elite Foot and Ankle for any treatment you should need for your feet. I have passed his name out to many.